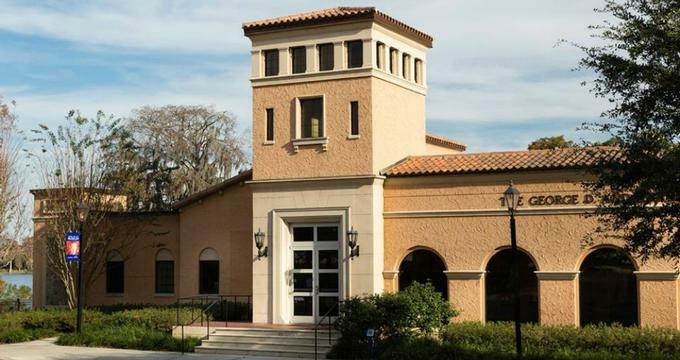 Located in Winter Park, Florida, the Rollins Cornell Fine Arts Museum is a celebrated institution that draws thousands of visitors each year. This museum is committed to promoting education around global artistic traditions spanning six centuries. The museum’s location on the Rollins College campus marks it as a touchstone for arts education among both students and members of the community. Given the size of the museum’s body of work, it is impossible to showcase the entire collection at any given time. For this reason, seasonal and thematically based exhibitions are rotated throughout the year. The Cornell Museum of Fine Arts has undergone many transformations since it came into existence as the Rollins Collection of Paintings. The first major step towards becoming an institution in its own right came in the form of a donation by the Samuel H. Kress Foundation, which contributed a number of Italian Renaissance paintings. In 1941, Jeanette Morse Genius put forward the necessary capital for the creation of the Morse Gallery of Art. In 1976, George and Harriet Cornell spearheaded the renovation and expansion of the institution, creating the Rollins Fine Arts Museum and giving it its present name. More recently, in 2006 the museum came to the end of another substantial renovation that saw the addition of six display galleries, an enlarged educational gallery, and a print study room. The educational programs offered at Cornell Museum are guided by the principle that early exposure to art is crucial in the social and cognitive development of young minds. For this reason, the museum includes an educational gallery complete with a variety of art-centered interactive play stations designed to captivate and engage its youngest visitors. Here, youngsters can create their own museum collection, try their hand at drawing, or build their very own sculpture. The museum also offers specialized class tours geared towards children from K to 12th grade. College level students are also supported by way of the museum’s curatorial and education staff, which provide resources and specialized curricula to enrich the students’ fine arts education. The Rollins Museum holds a collection of fine art creations spanning the time period from the 14th to the 20th centuries. Paintings, sculptures, and graphic prints as well as historically significant artifacts from around the world are represented at the museum. One of the biggest draws for visitors is the museum’s collection of Old Masters, which is the only such collection in the greater Orlando area. This museum’s permanent collection includes over 500 painting and 1,600 works on paper, which feature photographs, drawing and prints. Most recently, Barbara and Ted Alfond donated a collection of works by contemporary and international artists. Included in this are 300 new art pieces, which have been organized into the museum’s Art of the 20th Century collection. The Cornell Museum has an extensive collection of American art subdivided into sections that include 18th to 19th century portraiture, 19th century landscape, early American modernism, and Winslow Homer. While the bulk of the artists represented in this collection originated from the United States, there are several works from Latin American artists. In recent years, the Cornell Museum has acquired works by Carmen Herrera, José Figueroa, and Ramiro Gomez, to name a few. The works on display allow visitors to gain an appreciation of the ways in which American artists were able to adopt and build upon the theoretic and stylistic principles developed by their European counterparts, paving the way for a uniquely American aesthetic. Considered one of the museum’s greatest strengths, its European art collection has been steadily expanding by way of both donations and strategic acquisitions. At the core of this collection lies a body of work by European Old Masters, such as Giovanni Domenico Tiepolo, Thomas Lawrence, Gerolamo Bassano, and many others. The subject matter of these works ranges from the spiritual to the quotidian, capturing both the regional variance as well as the overarching character of the European artistic tradition. Visitors are able to trace the European continent’s artistic transformations as they view works from the Renaissance all the way to the 20th century. Works by the Bloomsbury Group, a collective of artists who were active in England between the years of 1907 and 1930, are given their own spotlight in the Cornell Museum due to a generous donation by Dr. Kenneth Curry. The works on display highlight the influence of Post Impressionism on the art of this time period.